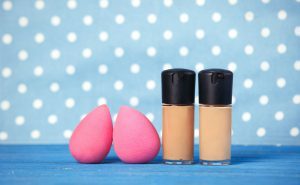 Whether it be a liquid foundation or a powder foundation, applying it is never an easy task, especially without the right kind of makeup sponge or blender. With numerous options available on the market, buying a makeup sponge is also equally difficult. 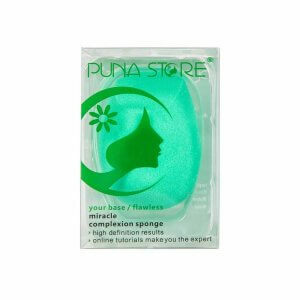 PAC, Real Techniques, Puna Store and many other brands produce makeup sponges, but some are definitely better than the others. This article will help you choose the best one based on your needs, and also provide a list of top 10 best makeup sponges you can buy online in India! You may think it’s alright to get the cheapest makeup sponge from your neighbourhood store, but cheaper products aren’t always the best in the long run. This doesn’t mean that only expensive products are good; what you must do is think about your needs properly before buying a product in order to get your money’s worth. 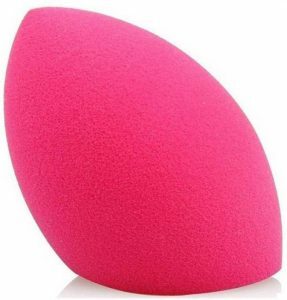 Makeup sponges vary in shape and thickness; there are thin ones, plump ones, and some with corners and curves. Thin ones are good for on-the-go use, especially with compact foundations, while thick ones are better for at-home use. There are also those with corners, which can reach places simple round ones aren’t able to. Of course, you can always trim a sponge to fit your needs. 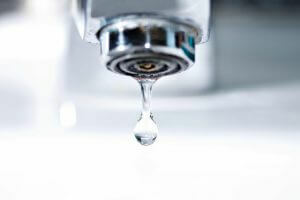 Tear-shaped ones, which have a flat bottom and a pointy surface, like the photo above, can be used in both ways. The material is as important as the shape when choosing makeup sponges. 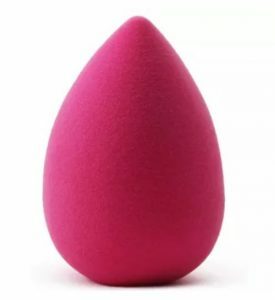 Usually, makeup sponges are made out of materials like latex and urethane. Some people may have reactions to latex, so if you have sensitive skin, you might want to look into latex-free options. 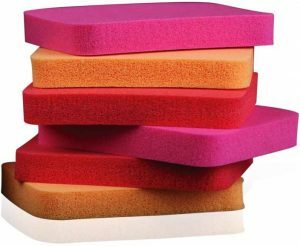 Recently, silicone sponges have been all the rage because they are easier to clean, but they’re not the best choice to achieve full coverage. It is also important to consider how fine the sponges are since sponges with larger pores often leave behind streaks and result in uneven coverage. Some people prefer to wet their sponge before using it to apply foundation. Using a wet sponge not only feels great, but it’s also the best way to achieve a more natural finish. However, there are some sponges meant for dry use only, so if you like to use a wet makeup sponge, make sure you look into that beforehand. We are now going to list the top 10 makeup sponges you can buy online in India. We have chosen them according to performance, reviews, popularity, and price. We hope this ranking will help you find the best one for yourself! 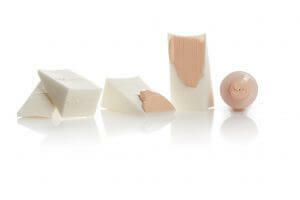 These tiny, block-shaped, latex-free sponges are affordable, soft, and work well with liquid type products. These are perfect for those who want to get a blender to carry around with them while travelling because even if you lose these, it wouldn’t make a difference as they’re so cheap! On the downside though, they soak up a lot of the product, so you have to use a lot more of it. These are also quite small, so it takes a long time to apply foundation with this. Lastly, they have a very distinctive scent, which may bother those with a sensitive nose. If you’re on the hunt for a vegan, cruelty-free, and latex-free makeup sponge, then you should consider getting this product! It’s really soft and easy to clean, which is always a plus since sponges need to be cleaned regularly. However, it does absorb a lot of product, so you might run out of your base makeup more quickly while using this. It also doesn’t give the best finish when used dry, so you must always wet it before use. 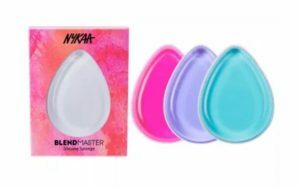 Those looking for travel-friendly latex-free makeup sponges should definitely get these! This pack comes with 8 sponges, which work really well with both cream type and liquid type foundations. They are really soft, long-lasting, and an absolute steal for ₹298! Although, since they’re so thin, it can be hard to use them, especially for beginners. Furthermore, they are considered durable because they do not tear easily, but they do lose their shape after being washed. All those who are fans of the dewy look will love this makeup sponge! It is one of the most affordable options on the market, and it works well for applying foundation as well as a concealer. Even though it claims that it can be used both wet and dry, it is always better to dampen it before use, to achieve the best results. Additionally, this product tears quite easily because it is really hard to clean. Since it doesn’t soak up any foundation, you only need to use a little to get full coverage. It’s also really easy to clean, and it dries faster too, which makes it perfect for travel, as well as for those with sensitive skin! However, it does take a little more effort to blend with this product, which is why it is not recommended for beginners. Those who prefer a natural finish should also consider one of the other products on the list. 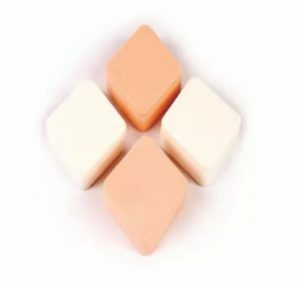 These tiny, soft makeup sponges are perfect for blending concealers and baking under the eyes! They allow you to work around the nose and the eyes with precision and give you a flawless finish. On the downside though, since they’re so small, they can be really difficult to clean and can tear easily. They also absorb the product quite a bit and have limited use as they can’t be used for the whole face. 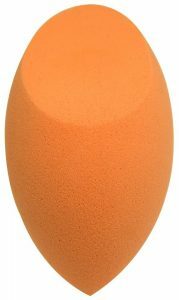 This affordable makeup sponge is soft yet firm, absorbs almost no product, and gives you a smooth finish without using a lot of product. It is perfect for those who love cushion foundations as it has a unique shape that works incredibly well with those. 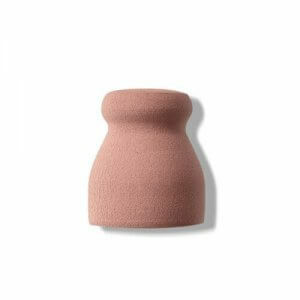 Although, because of this shape, it can be difficult to use this sponge around the eyes and nose. It also dries a bit slowly so if you’re all about fast-drying sponges, then this isn’t for you. Although a bit expensive, this latex-free sponge is one of the best in the world as it is easy to use even for beginners. It works well for applying foundation, concealing, baking, and contouring, regardless of whether it is used wet or dry. Even after being washed numerous times, it retains its shape, and can easily last for several months. 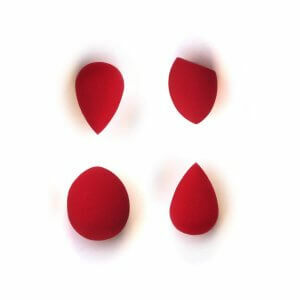 It is perfect for those who want a high-quality all-rounder makeup sponge to give them an airbrushed effect! If you have sensitive skin and need a hypoallergenic makeup sponge which doesn’t compromise on the finish, this is for you! It is extremely soft, easy to clean, and works well even for beginners. It is doesn’t absorb too much product and blends it beautifully to give you a flawless finish. Moreover, it comes with a travel-friendly container, so you can keep it clean even while travelling! If you’re looking for a sponge to give you a flawless, dewy finish without being really expensive, this product is all you need! The best product on this list, it can even be used by beginners for seamless blending. It works both wet and dry, and because of its shape, it can be used for the whole face, including the harder areas such as around the nose and eyes. It also works well with different types of products so it can be used in multiple ways. Finding the right type for your skin and makeup style can change how you look drastically. Moreover, it can make the foundation application easy as well. We hope this article helped you understand how you can find the best one for yourself, and you were able to choose a suitable one from our recommendations.